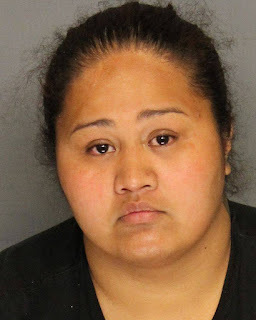 July 28, 7:30 p.m. - According to information released by Stockton Police, the two-year old child in this incident has succumbed to the injuries while in care at the Oakland Children's hospital. Enhanced charges against the suspect have not been filed as of this posting. A Stockton woman is in custody at the San Joaquin County Jail after she allegedly severely injured a two-year child. On Wednesday, July 26, 2017, at approximately 1:16 a.m., Stockton Police received a phone call from Oakland Children’s Hospital regarding a suspected child abuse case that occurred on July 25, 2017 in Stockton. The victim, a 2 year old male, was medi-flighted to Oakland with a severe head injury. Upon further investigation, the child’s step-mother, Chalsey Maynard, 30, was arrested and booked on three counts of suspected child abuse. The child remains in critical condition at an Oakland Hospital.